I'm sharing with you what I think is a Beautiful Note Card Desk Caddy. I made this for a dear sweet friend who I met online when I first started paper crafting. This will look perfect in her Pink and White craft room. I know when she reads this post she will know this is for her. By not layering the cards and using the Silhouette Print N Cut I was able to fit 19 cards and envelopes in the caddy. I made the envelope that came in the file. I did have to re size the file since I do not have a large format printer. I think it is the perfect size for note cards. I added some cute twine and a pink pen. What can I say she LOVES pink. Nana, thank you for stopping my my blog! I love this set, and what a fortunate friend you have! I would love a set like this for my new office I am in the process of upcycling! This is Just GORGEOUS!!!! A perfect gift!! One that your friend will LOVE!! You really out did yourself, this is just beautiful! Your friend will just love it! What an absolutely gorgeous gift set this is!! I love the beautiful pink and the silhouette image!! Your friend will adore it!! This is beautiful! Love the pink!!! L O V E it and it will go right next to my 3 tiered cake you made! This is beautiful. 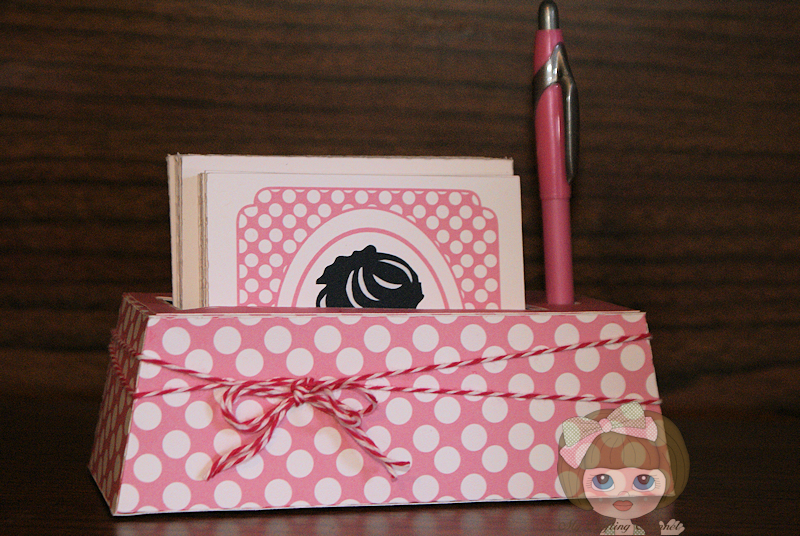 I love how you made this Note Card Desk Caddy! Thank you for linking up @ Monday Handmade Linkup Party. Have a wonderful day, Nana! this is such a beautiful project Nana! love the pink/black combo! What a beautiful gift set!! I love the colors and pretty silhouette image!!! Have a great day. Love your caddy! Everyone should have one of these in their craft room, ha? 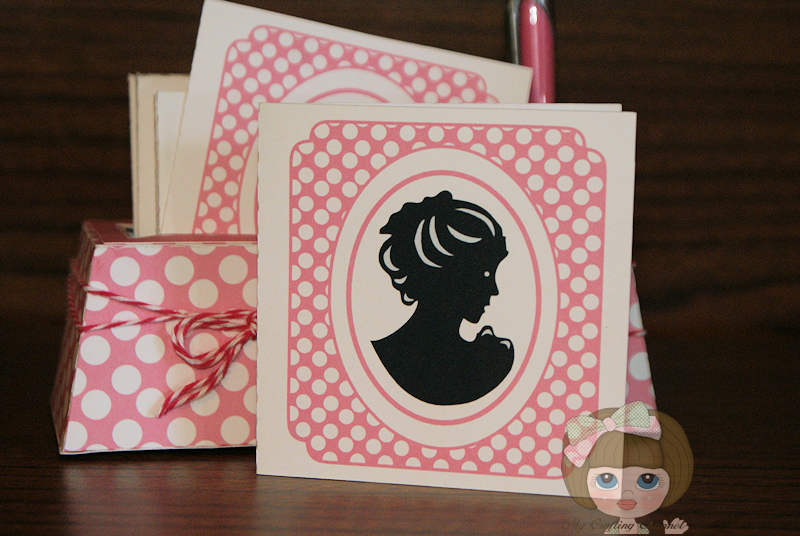 Love the pretty pink paper and fabulous silhouette! GREAT job on this!